Three different types of influenza viruses infect humans: Influenza A, B and C. Only Influenza A and B cause major outbreaks and severe disease, and these are included in the seasonal influenza vaccines “fluvax”. Influenza is spread from person to person through the air by coughing or sneezing, or by direct contact with the virus on people’s hands or hard surfaces. Flu usually differs from the common cold as the symptoms develop suddenly and it can lead to significant complications such as chest infections and pneumonia. 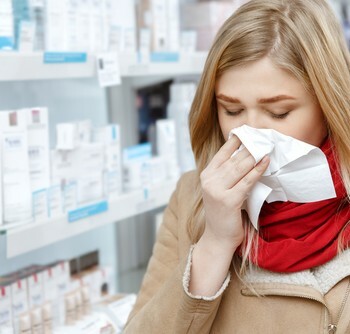 Symptoms tend to occur abruptly over one to three days and can include: tiredness, high fever, chills, headache, coughing, sneezing, runny noses, poor appetite and muscle aches. Most people suffer from a mild illness and recover in 10-14 days. Pregnant women face a higher risk of the severe consequences of influenza, as do babies and young children. The flu shot is safe for pregnant woman at any stage of their pregnancy, and provides effective protection for you and your new-born baby for the first six months of his/her life. It is recommended and funded (i.e. free) for pregnant women under the National Immunisation Program and can be accessed from your GP. There is no live virus in the flu shot. The composition of the vaccine changes every year – flu strains change from year to year and thevaccination is adapted to protect against the most recent strains. Even if the flu strain does notchange, yearly vaccination is still recommended as immunity from the flu shot is not long lasting. Immunisation is recommended in early autumn to allow immunity to strengthen before the flu seasonstarts. The flu shot usually becomes available around April each year.